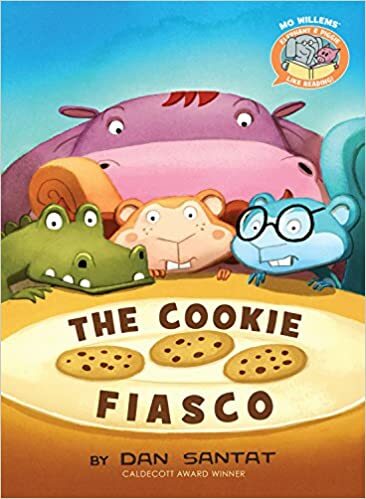 Hippo, Croc and the Squirrels have a problem - it's cookie time and there are four of them, but only three cookies. They must figure out how to share the cookies among them before Hippo destroys them. As the friends find a way to get "equal cookies for all" readers will learn something about fractions. In the style of Mo Willems's Elephant and Piggie books, the story is told through dialogue among the friends. Elephant and Piggie make an appearance before and after the story, as well. My students love Elephant and Piggie and I think they'll find this story a fun one to read aloud. I became curious about this book after noticing it was a favorite at my school's book fair in September. This is a story about a group of kids who have all have a magical power, but are still learning to perfect it. They are put into the Upside-Down Magic Class, a special class for students who need to improve their magical ability. 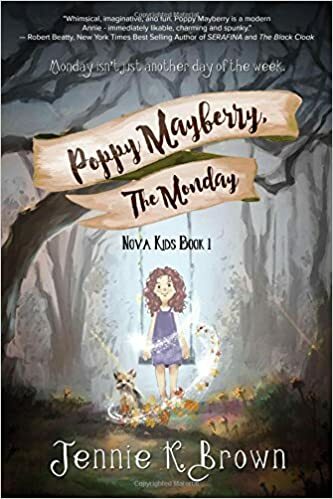 Nory has a plan to make her magic normal and get herself and her friend Elliot into a regular fifth grade class. This is a fun story about magic gone wrong, but the story offers important lessons, too, about belonging and self-acceptance. In the town of Nova, everyone was a power based on the day of the week on which the person was born. Since Poppy was born on a Monday she should have telekinesis, but she still has not fully mastered this ability. Along with a classmate, who she does not get along with, she is sent to a remedial summer school. (After reading this and Upside-Down Magic I noticed a theme among my chapter book reading.) While at Power Academy, Poppy and three classmates find themselves facing a challenge in which they must show they can properly use their powers in order to be released from the academy. There is not only magic in this book, but adventure and suspense. The characters learn about teamwork and friendship and find out that they are different, but also quite unique. I enjoyed the quirkiness and imagination of this story. Both of the new books introduced by Elephant and Piggie are wonderful, I think. I especially liked the grass book. I've seen Upside-Down Magic on quite a few blogs lately- seems like I should really try it out! I'm excited for the new Elephant and Piggie like reading series. My favorite is the Laurie Keller one. I have the second Upside Down Magic book to read. I enjoyed the first one, it was quite popular with readers last year. I haven't read any of these new Elephant and Piggie like reading series. 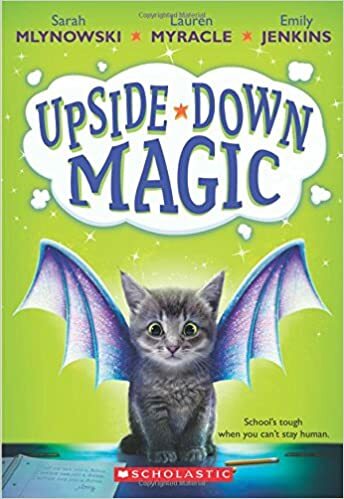 I loved both the Upside Down Magic books so far. There is much more going on in them than you might first think from the covers. I haven't read any of the Elephant and Piggie like reading books yet, but I'm very curious - I love Dan Santat, so I've got high hopes for the Cookie Fiasco! 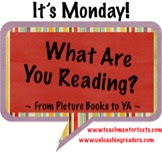 I feel like I should read Upside Down Magic again, but it's a little young for my students. Something about it hit me the wrong way, but everyone else seems to love it. The 'magic' books sound fun, & I really would love to read The Cookie Fiasco, know it will be loved. Thanks, Lisa.